The American Indian Health Commission (AIHC) for Washington State was created in 1994 by federally recognized tribes, Urban Indian health organizations, and other Indian organizations to provide a forum for address Tribal/ State issues. A collective Tribal government voice is shaped on shared health disparity priorities. 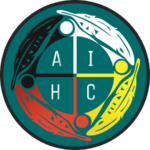 The AIHC is a Tribally-driven non-profit organization with a mission of improving health outcomes for American Indians and Alaska Natives (AI/AN) through a health policy focus at the Washington State level. AIHC works on behalf of the 29 federally- recognized Indian Tribes and two Urban Indian Health Organizations (UIHOs) in the state. In Washington, the AI/AN population continues to experience the poorest health outcomes and the highest overall mortality rates than any other population. AIHC Tribes and UIHOs then work collaboratively with Washington State health leaders, the Governor’s office and legislature to address these priorities. The Commission’s policy work improves individual Indian access to state-funded health services, enhances reimbursement mechanisms for Tribal health programs to deliver their own culturally-appropriate care, and creates an avenue for Tribes and UIHOs to receive timely and relevant information for planning on state health regulations, policies, funding opportunities, and health-specific topics. By bringing state and Tribal partners together, specific health disparity priorities are addressed across multiple systems—pooling resources and expertise for greater health outcomes. The AIHC host bi-monthly delegates meetings to carry out the business of the AIHC and also to share information with AIHC Delegates. The AIHC also sponsors a biennial health summit to bring Tribal leaders and State partners to collaboratively work toward improving the health status of Washington’s AI/AN population. The audience includes tribal leaders, federal representatives, state officials, health and human service providers, and others from across the state that work to create an action plan for the subsequent two years. Attendance of AIHC Delegates meetings, currently held the second Thursday of every third month of the year beginning in February. Participate as a member of at least one committee/workgroup, and keep AIHC delegates informed of committee/workgroup milestones or findings of assigned committee/workgroup. Keep leadership and staff of Tribe/Urban Program(s) they represent informed of information shared at meetings and through other forms of communication from the AIHC.